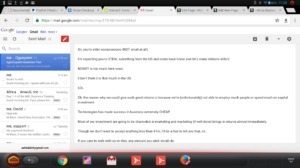 This 7-day business training will happen on the internet. If you have any questions, you can call us, chat with us or come to our head office at No 9, Hakeem Ogbara Str., Oke-Oriya, Ikorodu, Lagos State. As an African, what do you think about Africa? As a Nigerian, Kenyan, South African, Egyptian, Ghanaian, etc, what do you think about your country? A poor, wretched, hopeless country which political leaders have destroyed? A country with bad and unrepairable economy? Look around your country with your two eyes (as an African) and what you’ll see is poverty, destitution and hopelessness. Did you ever look around in your country with your mind? Unfortunately, most Africans have not been trained to see the riches of Africa. Most Africans have been trained to complain, cry and blame. They will rather keep on looking for a “better” job, than to look for opportunities to be rich. Look around in your country and tell me the names of the top 50 companies. Make your research and you’ll see that most of these companies are owned by foreigners. Of all the above 7 successful companies, only one of them is own by a Nigerian (and that’s Dangote). If you do similar research in your country, you’ll get what I’m saying. While is it that Africans keep on complaining about how poor they are, while foreigners are coming to our countries to make millions of dollars? to come and discover opportunities, start businesses and make millions from your country. Apart from our home-based companies, many online, international companies make millions of dollars in your country every month. About 2 hours before I started writing these words, I was chatting through the e-mail with one of my elder friends who has left Nigeria to the United States. He was impressed by my business progress and achievement, especially about my new company I’m just starting. You mean there is too much money in Africa? ans were not trained to see opportunities. Would complaining about government bring food to your table? Today, I see so many people complaining about government, recession or bad economy, but you know something? I’m making much more money from my business now than before the economy becomes “bad”. Now, I want to reveal my secrets to few Nigerians who are willing to learn. and how to turn them into profitable businesses. I’m NOT saying it’s quick riches. I’m Not saying you can start making millions tomorrow. Though I was born by poor parents, I stated my first personal business as a little boy of 15 years old. Not just me, there are so many Nigerians who have learned and mastered how to discover opportunities in Nigeria. I have a friend (who is just around 30 years). He told me he was making around #750,000 per month. That was 2016. (Only God knows how much he makes now). I have another close friend who was making above one million naira each month. There are several Nigerians like that who never have time to complain about government. Would you have time to argue politics if you have a business generating between 1-5 million naira per month? Yet, it’s possible, if you’ll take time to learn how to discover opportunities in Nigeria and turn it to profitable business. 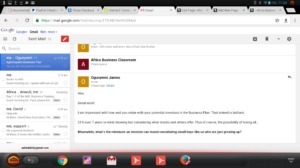 I`m a friend to someone who wrote how he made over #1 million naira from his business in the first 15 or 20 days of the year 2015 (yes, just 20 days, over one million naira from his business). This man is around 35. Yet, some people will think because government is bad they have to be poor. When I wrote in one of our business training that I`m making money, sometimes when I’m sleeping, someone who read that training called me to ask how. Well, the answer is to discover one (just one) out of the numerous business opportunities in Nigeria and work on it to make it a profitable business that will be pouring money out for you, even when you`re sleeping. What do you think about the above quotation? Idea (opportunity) is your greatest asset. If you know how to discover it, you can make all of the money you will ever need, right here in Nigeria. ALL of today`s million-naira companies in Nigeria started by discovering an opportunity and taking chance to turn such opportunity to a lucrative business. People like Jim Ovi (Zenith bank), Mike Adenuga (glo) and Aliko Dangote are nothing but opportunists. They are not in any way different or better than you or I. They simply learn how to see the opportunity other Nigerians could not see and turn it to business. Did you know this story? In the year 1992, 30 years old Nigerian (Isaac Durojaiye) felt like, it`s not appropriate to join people who are complaining about ‘government don`t do this, government don`t do that’. Instead, why can`t he solve a problem government don`t solve and make money by doing so? That was an opportunity to create wealth. 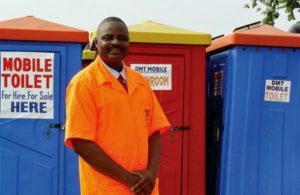 He decided to “invent” mobile toilet in Nigeria. By the year 1996, his business idea had become a reality. 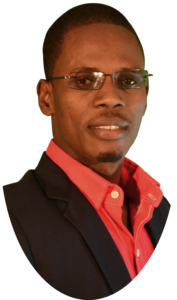 He has founded and became the CEO of DMT Mobile Toilet (the first mobile toilet manufacturer company in Africa). This man is dead now yet his company is still making money for his children. That`s the power of an idea. 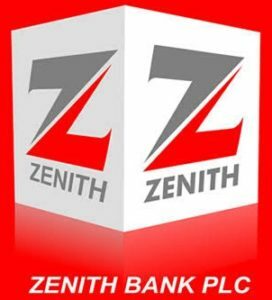 Do you know Zenith Bank? Jim Ovia is a man from Delta State (Nigeria). He was an employee in 70s, but instead of him to keep on looking for a better jobs, he decided to take chance of some of the numerous business opportunities in Nigeria. 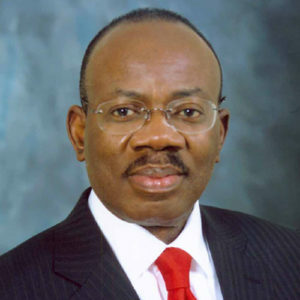 Today, he’s the owner of the Zenith Bank of Nigeria and the 28th richest man in Africa (according to Forbes Magazine). They learn how to complain; we learn how to discover lucrative business opportunities and how to turn them to profitable businesses. The turn around in my life began the day I decided to stop complaining or expecting anything from Nigerian government or employers. Do you think Nigerian government has any plan for you? Do you think any employer can give you enough salary to solve your financial problems? On Wednesday April 9th, 2014 Sun Newspaper published a sadden news. 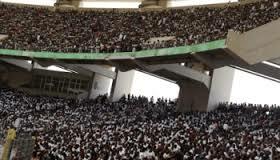 In it we all read how the Nigeria National Bureau of Statistics (NBS) puts the numbers of the unemployed persons in Nigeria to 20.3 million. 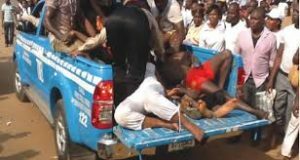 In fact, the crowd of the youths struggling for immigration job was so much that more than 20 of them lost their precious lives to stampede. That happened on the 15th of April, 2014. Another government came to power. The truth is, no government can solve your financial problems. Instead of unemployment to reduce, it’s increasing every day. 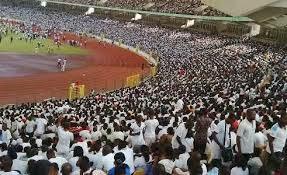 Now (according to Wikipedia) over 40 million Nigerians are unemployed. (Destitution is greater than poverty). Then, everyone blamed the government. Now, they are still blaming the government. Forever, most Nigerians would still be blaming the government. Until people learn how to discover opportunities around them, they would be looking for who to blame. No government can solve your financial problems. 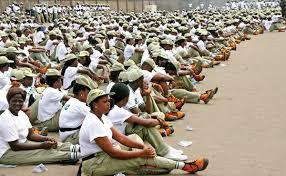 Every year, about 2 million Nigerian youths are joining the multitude of millions in the labour market. Unemployment, bad jobs and poverty everywhere. My advice for you is; stop expecting government to be better and stop looking for good jobs. What is good in a job you get today and someone sacks you in the next 2 years? NOBODY can sack me from my business. Nobody can sack you from your business. That’s why you must learn how to discover opportunities and build a business around it. I have done that with my life and I’m willing to show you the way. All you need to be part of this life-changing training is your e-mail address and your phone or laptop. The training would be delivered to your e-mail every day for the next 7 days. Part of the training is in videos while other parts are in reading (PDF) format. How John Kellogg $ William Kollog discovered the business idea of the Corn Flake and how you can use the same strategy to discover a profitable business opportunity in Nigeria. How to turn total rubbish to business and how a man from Lagos (Nigeria) used this strategy. 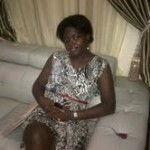 The simple strategy a company in Edo State, Nigeria (called Lit Food) used to discover a brilliant business opportunity. These guys are genius. You need to “steal” their secret. Did you know you have a talent? How Bill Gates was not the owner of the business idea that made him rich. Inside this training, you will learn his secret and how you can use the same strategy to start a successful business in Nigeria. The strategy Sam Walton used to discover a business idea that made him become the richest American in 1985 and how you can apply this to discover a lucrative business opportunity in Nigeria. The magic business idea MTN used in the year 2011 to become a giant company in Nigeria and how you can do similar thing in your own business. 99.9% of Nigerians don’t just know this secret. We will teach you. The business secret you (probably) don’t know about facebook, plus how you can use similar strategy in your little way to make money in business from Nigeria. The business experiment I did when I was searching for a money-making business opportunities in Nigeria (around 2007) and how you can do similar thing. Do you know Tecno phone? Check inside this training to see the hidden secret of how they discovered the business opportunity that make them succeed in Nigeria and how you can apply the same strategy to discover a profitable business opportunity in Nigeria. Business in Nigeria is like a war. If you`re not smart, strategic and tactic, you cannot make money. I learned a strategy in one war book I read. Inside this 5-section training I will teach you how you can use that strategy to discover business opportunities in Nigeria. If you love work too much, you may never discover a wonderful business idea in Nigeria. Working smart is better than working hard. I will teach you how to work smart and make money from your business inside this business training. How to turn the Nigerian government’s weaknesses to a profitable business. Stop blaming government. Get this training to see how a Nigeria man (from Lagos) did this and how you can make money from government`s bad governance. You must not start certain businesses in certain places in Nigeria, if you do, your business will fail. Maybe that’s the reason why your previous business failed. Now this training will teach you what you never knew. The strategy Kiichiro Toyoda used in the year 1929 to discover a great business opportunity that gave birth to Toyota automobile company. (I specially love this simple business strategy). 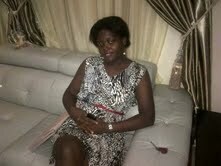 You will see how you can tap into business opportunities in Nigeria, which other people around you cannot see. How Ayo Arowolo discover an idea that made him to run back to Nigeria from the United Kingdom, to come and make money with one of the numerous business opportunities here in Nigeria. If you know how to do this, you may never want to travel abroad to look for money. To discover a great business opportunity, you have to be creative. Unfortunately you’re (probably) not creative. This business training will teach you how to be creative. The business idea a company called Domino’s Pizza used to become successful and how you can use the same strategy to make money from your business in Nigeria. Did you ever hear of Alchemy Business Strategy? Did you know how to be Alchemist entrepreneur? 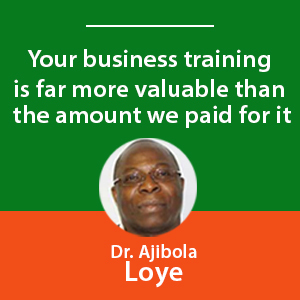 This business training will teach you how to be an Alchemist entrepreneur in Nigeria. How I nearly landed in the police net in December 2008 because I was trying to discover a business opportunity (at Ogbomoso, Oyo-State, Nigeria) and how you can avoid similar embarrassing situation. How 30 years old Nigerian stopped complaining about government in the year 1992. He used a strategy to discover a business idea. Now you can “steal” his strategy, discover a lucrative business opportunity and turn it to a big business, as we will teach you inside this training. 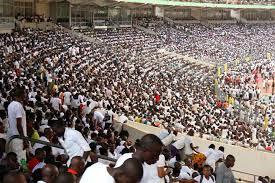 How to Discover Business Opportunities in Nigeria & How to Turn them to Profitable Businesses. How Can I Register for This 7-Day Training? 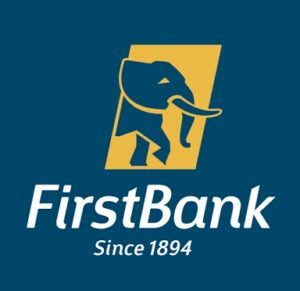 First, you can register at discount NOW, easily, with your ATM card, just in about 3-4 clicks. Click on “Register Now” button below. Or make the token payment for the registration at discount (for now) to any of our company’s accounts. You can as well visit our head office at No 9, Hakeem Ogbara Str., Oke-Oriya, Ikorodu, Lagos State. You should be registered immediately (if our staff are not busy) or as soon as possible. How Much is This 7-Day Training? But if you’re fast you’ll be getting more than 60% discount. That means you can register for just a token #7000 today or tomorrow. Register at discount NOW, easily, just in about 3-4 clicks, with below “Register Now” button. You can also visit our head office at No 9, Hakeem Ogbara Str., Oke-Oriya, Ikorodu, Lagos State. Plus hundreds of testimonies of how ABC has been changing lives of many Africans since 2007. 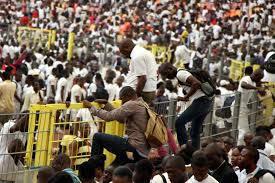 If you`re a Nigerian and expecting government to give you a job, you`re not having a good plan for your financial future because it`s so clear that Nigerian government cannot employ even 5% of those presently in labour market. If you`re having a job you don`t like and are still looking for a better job, you`re not well informed because even the so call good job is no more secure. 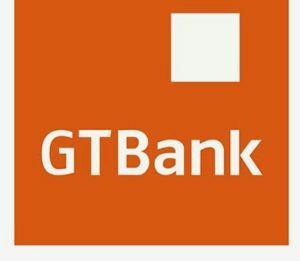 On April 14th, 2015 P.M News published the news about how Diamond bank sacked over 1000 workers. Many people who think they have “good job” in Nigeria are losing their jobs every month. The only way to secure your financial life is to learn how to discover business opportunities in Nigeria and how to turn them to profitable businesses.